(Torlax? Snotoro? Ooh, Snowtoro is pretty perfect these days!) based on a friend’s suggestion after my other Pokémashups. So far there’s been Farfetch’d as Darkwing Duck and Farfetch’d as Donald Duck. I’ve been really enjoying playing around but wanted to branch out from ducks, so when a friend suggested Snorlax/Totoro I jumped. Too much fun! 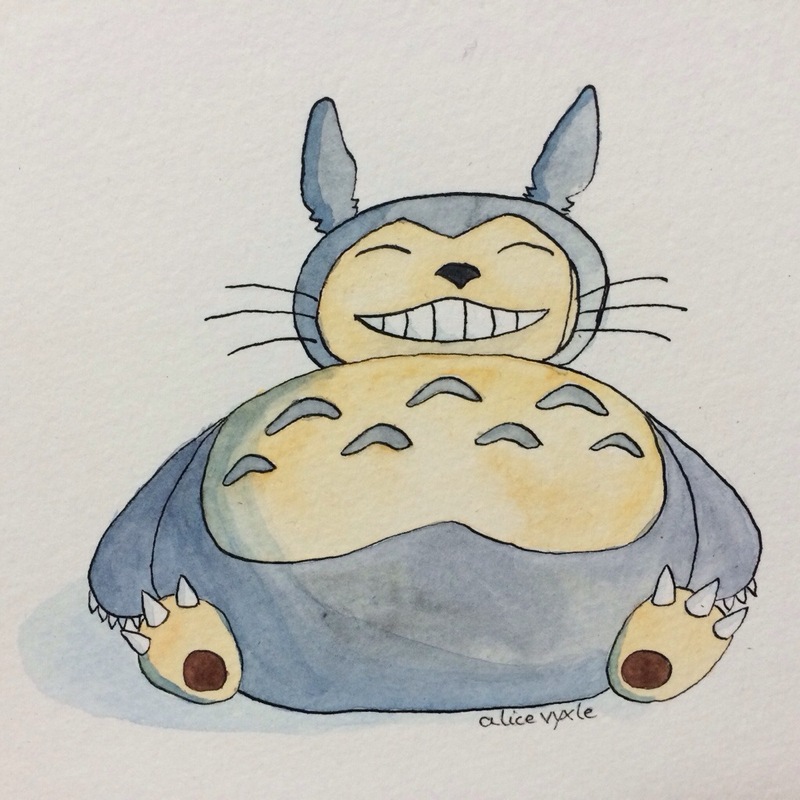 This entry was posted in Art and tagged illustration, my art, painting, Pokemon, snorlax, totoro, watercolor. Bookmark the permalink.